The B.07 operating system and utilities are very handy, because they allow your 250 to interface with 9133/34 hard discs (and do not require a full 1 MB of memory to boot). 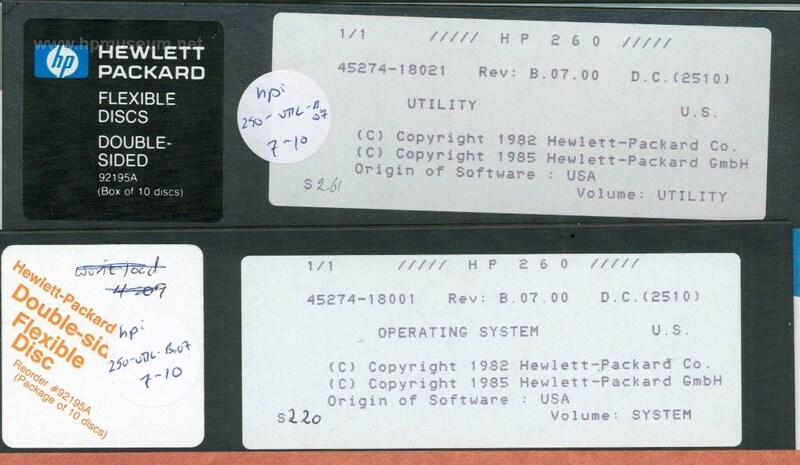 The Zip file contains two binary images (hpi format) of the original 8" floppy discs. The hpi file is a virtual disc that does not require any vintage mass storage devices to use. But, you will need an HP-IB interface in your PC to use the hpi file. Be sure to visit Ansgar Kuekes' outstanding site to learn how to use hpi files with his hpdrive emulation utility.